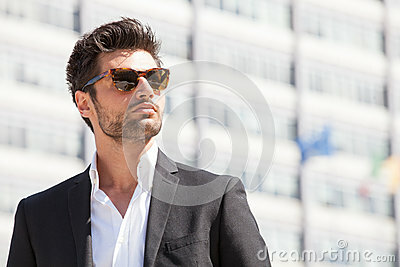 A beautiful and charming man with sunglasses outdoors. Stubble and blacks hair. Intense light. White shirt and stylish jacket.